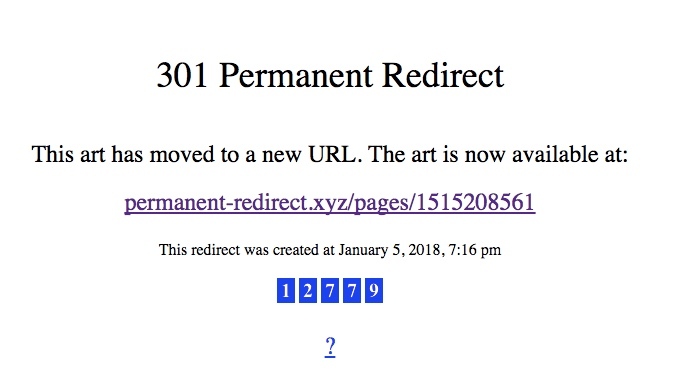 Donald Hanson's "Permanent Redirect" is a very clever piece of Web art that moves location every time it's seen, making it increasingly harder to find. "Most people will probably not see the art," Hanson says. And yes, if you just can't help yourself, you can see a screenshot of the artwork on Twitter posted by someone who used PHP to find it.